I rather had a dilemma of sorts today. It was time to put the binding on, but my calculations, I was ¼” short .. **sigh .. of course … so that meant I needed to get creative .. which is rather fun and okay .. and this means .. my first pieced binding!! 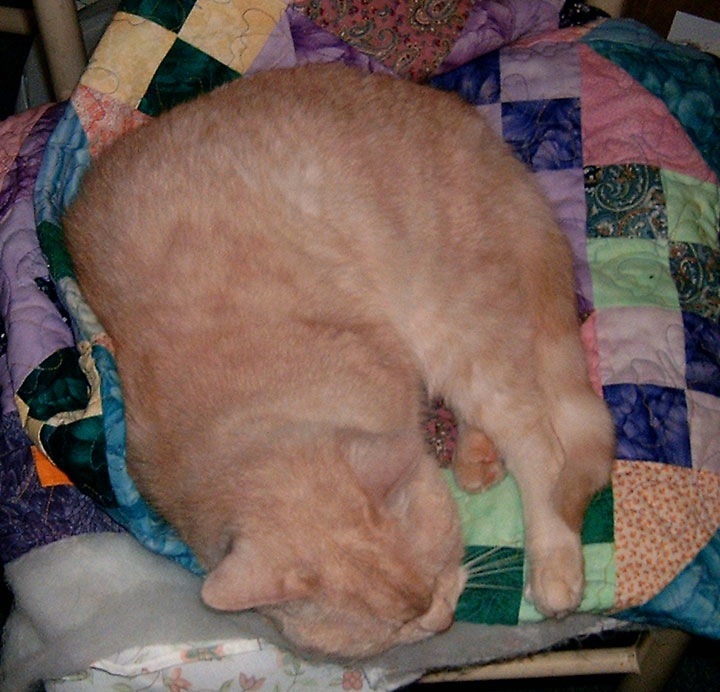 I had put the quilt aside before cutting on my sewing chair .. well not even 5 mins goes by and Pix decides he’s going to claim this quilt yet again .. We’ve been having a few issues with that him and I … and he generally loses too .. but that doesn’t stop him from trying. 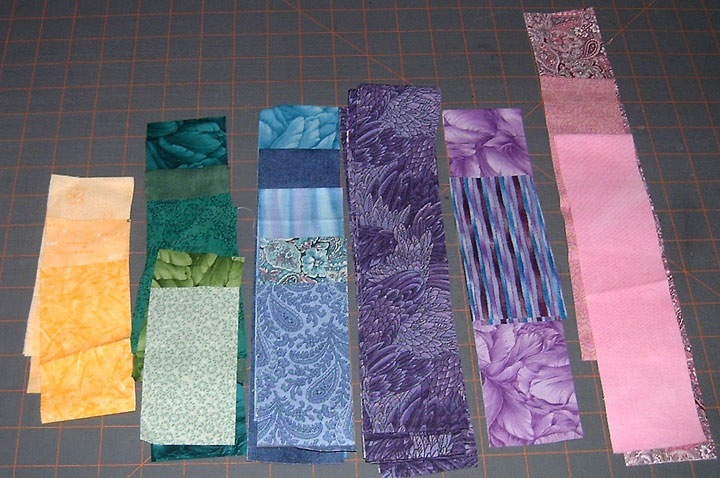 I start sewing my strips together – now I didn’t measure for the seam allowances .. the idea of THAT much math right then was enough to make my blood freeze – so i figured I would just go from there and add if needed .. well after all was said and done .. 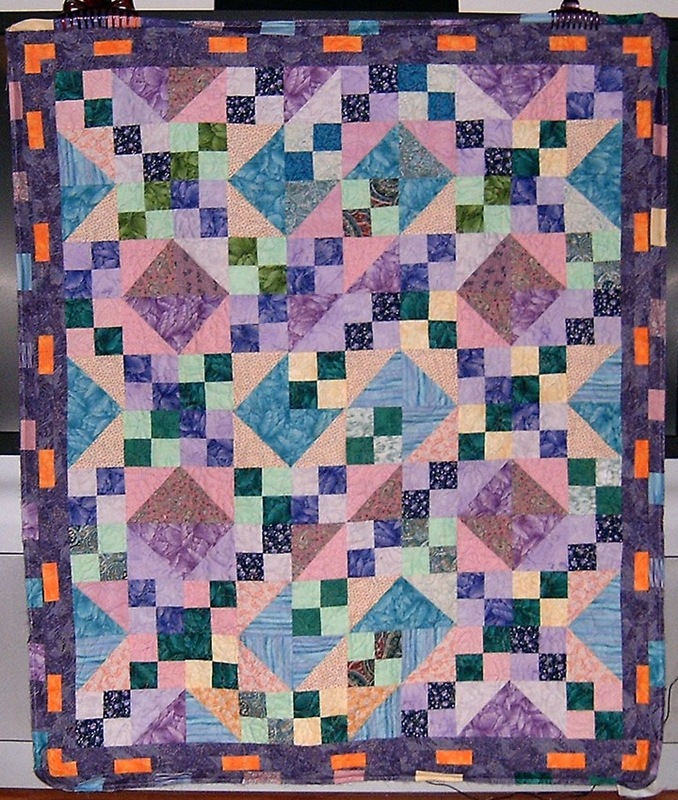 I was 6″ short .. I’m like ..can I NOT get a break today .. and I soooo did NOT want to cut another whole strip for 3 – patches of purple – so I didn’t 😀 went digging thru my stash instead, the one purple isn’t likely to get noticed, and the 2 patches there have a silvery ‘paint’ on them so they look brighter than they really are .. But all in all with various challenges .. 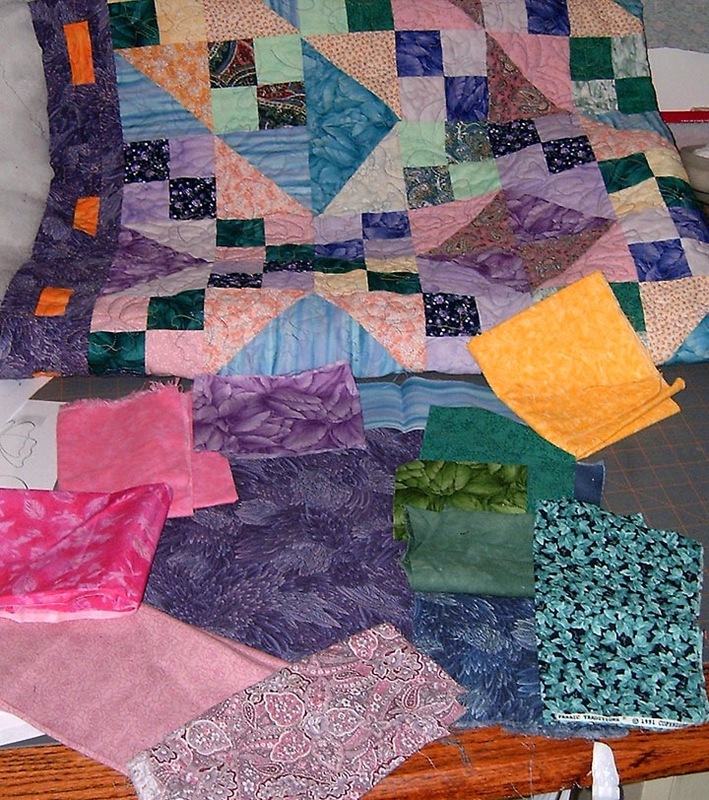 I am moving this quilt to the binding pile:D It’s actually ‘done’ .. there are some issues, but I can live with them and that’s all that counts since this quilt is for me .. not being given away or sold .. pour moi! How cool is that?!!? First pieced binding, seams pressed open so it’s not to bulky to hand sew thru – I think it might actually work! What a beautiful quilt. But I knew it would be, you made it. Great job. Love the inventiveness… I know, it was a necessity, and probably also a mother, but…! You might as well give it up with the furry one (the cat! I mean the cat!!). Even if you made him his own quilt, he’d prolly want the one that you’ve sweated, sworn and bled on!! Congrats on getting another one outta the pile.